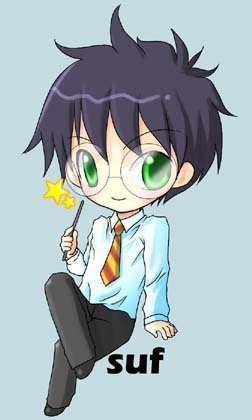 another chibi Potter!. toi don't like Harry, too bad.. Wallpaper and background images in the Dex3fan club. toi don't like Harry, too bad. no, better, chibi Manwell. since Manwell has green eyes like Harry Potter. Funny I just realized that. But yea, he totally looks like Mandark in that pic!